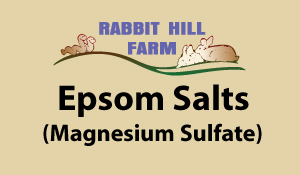 Fast acting source of magnesium and sulfur. Directions: Sprinkle 1 tablespoon over root zone for roses, tomatoes, and melons. Spray 1 tablespoon per gallon. Can be mixed with other sprays.